Caring For A Living Christmas Tree - Before, During And After Christmas! Caring For A Living Christmas Tree – Before, During And After Christmas! A living Christmas tree is an excellent way to celebrate the holiday season and add lasting beauty to your landscape. For many, decorating the house for Christmas all starts with selecting the perfect tree. Many folks still love the tradition of heading out into the woods to find and cut down their special tree. Others enjoy the experience of taking the family out to a local tree farm. Live Christmas trees can be planted after the holidays for lasting beauty. And for some, nothing beats the ease and simplicity of putting up an artificial tree. But, for a growing number of folks, selecting a living Christmas tree has become a wonderful new tradition. Not only does it have the aroma and authenticity of a live-cut tree, a living Christmas tree can be planted after the holiday season to provide years of enjoyment outside as well. 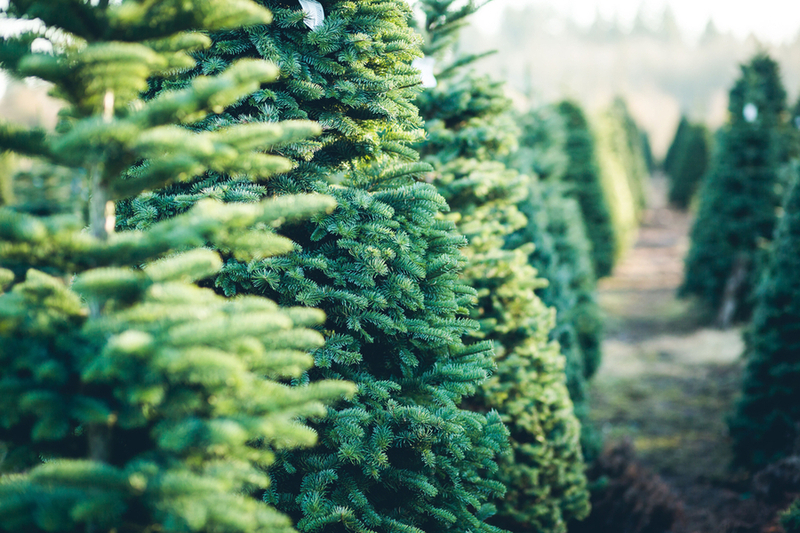 According to the National Christmas Tree Association’s website, there are more than 25 to 30 million “live and real” Christmas trees cut and sold in the United States every year. Many cut trees are thrown out and unfortunately find their way to landfills. That’s quite a forest of trees! Many cut trees are recycled each year and turned into mulch or compost. But unfortunately, many more are simply thrown into landfills. But living Christmas trees provide a sustainable option to that issue – all while adding valuable, long-lasting beauty to your exterior landscape. Many living Christmas tree owners find themselves re-decorating past trees again as they grow outside. Now that is getting some serious Christmas decorating value for your dollar! Living Christmas trees are usually available either potted or in a burlap ball. Both are perfectly fine, although the potted trees are a bit easier to place and level. One thing is for sure – they are both easier than trying to secure and level a cut tree inside the home! When selecting a living Christmas tree, select a species that is native to your area. This ensures the tree can survive your climate, and will have an easier time adjusting after transplanting. Living trees need a bit of time to acclimate before bringing indoors for the holiday season. This allows the tree to warm up slowly as opposed to heading directly into a heated interior. There are a lot of choices when it comes to styles of living Christmas trees. Place the tree in an unheated but protected space a week or two prior to moving indoors. Garages, barns, and even back porches work well. Keep the tree well-watered at all times. You want the roots of the tree to stay moist, but not over-saturated. Living Christmas trees can be decorated, but a bit of caution should be used to keep the tree from too much stress. For lighting, select lights that do not generate heat. LED lights are an excellent choice for lighting up a living Christmas tree. They are cool to the touch, and keep the tree from becoming overheated. Living Christmas trees can handle the usual assortment of ornaments, garland, and other decorations. However, it is best to keep from overloading the branches in excess. Too many decorations can bend and break the limbs. LED lights are an excellent choice for living trees. Continue to water the tree, being sure to keep the root ball moist. The one drawback for some with living Christmas trees is that they should not be kept indoors for more than 7 to 10 days. If they are kept inside too long, the trees are simply unable to re-adjust to the cold. Unless of course, if you plan on keeping your tree up and watered until Spring. Perhaps for those that really love Christmas, this is a viable option! After Christmas, once again, take the tree to a protected, unheated space for a few weeks before planting. This allows it to once again acclimate before heading directly into the cold. Keep the tree watered during this period as before. You can plant living Christmas trees outside any time the ground is not frozen. With a living Christmas tree, you get the chance to decorate again – outside! For some, this is not possible until Spring. In that situation, keep the tree in a protected space, watering every few weeks as the weather allows. If you are able to plant during the winter months, be sure to heavily mulch the soil to help keep the temperature of the soil regulated. A thick 4 to 6″ of straw should be sufficient. Water when planting, and continue to water every few weeks as the weather allows. This Is My Garden is a garden website created by gardeners – for gardeners! We publish two articles every week, 52 weeks a year. Sign up below to receive them free each week via email, and be sure to follow us on Facebook This article may contain affiliate links. Bringing Ferns Indoors For Winter – How To Save Ferns For Next Year! The Secret To Planting Tomatoes – 6 Keys To A Huge Harvest! September 19, 2018 TIMG Comments Off on Aunt Jeanie’s Famous Homemade Freezer Apple Sauce Recipe! Climbing Perennials – 4 Great Plants For Fences, Arbors and More! June 14, 2017 ThisIsMyGarden Comments Off on Climbing Perennials – 4 Great Plants For Fences, Arbors and More!